Why do women put themselves through all the pain, stress and scars of childbirth? Because of moments like this. 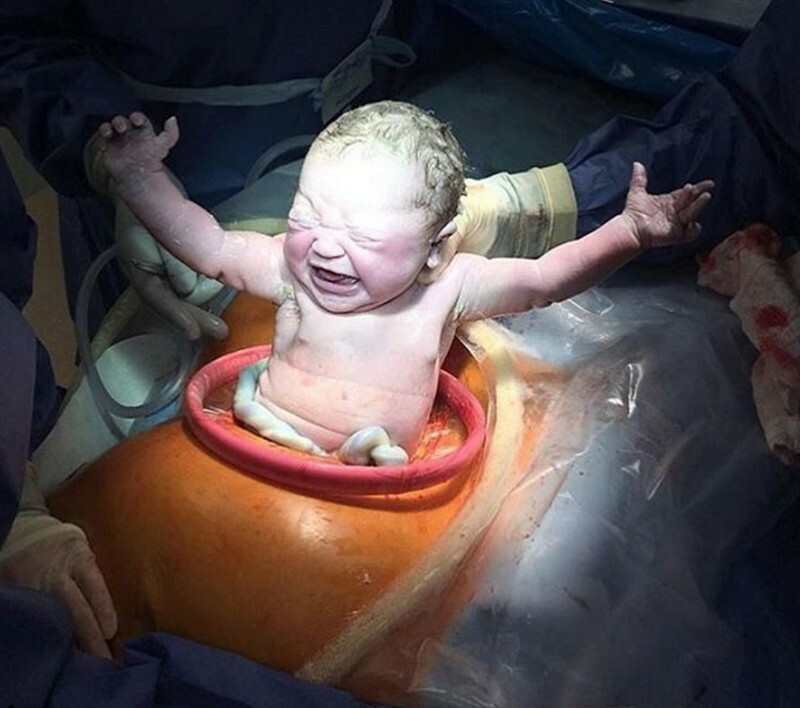 Just look at this spectacular image of little Raya Pax Steele Angell entering the world via a c-section recently. We have shared countless breathtaking birth images, from a video of a cocooned baby born in its amniotic sac to a photo of twins born holding hands and now sweet Raya. And the story behind this captivating image has all the feels, as well as making us all laugh out loud. Raya’s mum Cassy Steele shared the photo, taken by fiance Ryan, and her birth story with the Empowered Birth Project. “Our doctor told us ‘OK take a picture’. I said, ‘I can’t” and they all laughed. I looked at Ryan and he was in another world so I yelled ‘Ryan take a picture!’ LOL and these are the results,” Cassy writes. We think Ryan did a phenomenal job and we’d love to see what cracking shots you or your partner managed to capture in the delivery room.